i like the process of selecting new watercolors. i usually buy a few at a time, use them, see how they work, then choose new colors accordingly. neutral tint is one of my new favorites. i was seduced by the idea of mixing darks without losing transparency. HERE is a dull, but informative video that explains. i haven't done a lot of mixing with it yet, but i am excited about the prospect of a new deep bluish gray. by itself it is gorgeous. tomorrow i'm going to put it to work mixing lots of shades with the other colors in my palette. random adventures with juicy blue watercolors at kitchen table headquarters. if you aren't clear on how granulating watercolor behaves look at sodalite on the left. granulating. and nuetral tint on the right. non-granulating. the old visual journals come in very handy for these kinds of experiments. back to the last episode of THE FALL. season 2 just came out and i'm already finished with it. up to your own engrossing set of experiments? i trust you'll keep me posted! especially if they involve food, books, cats, paint, or travel. Just looove your selection of blues! I’ll get to water colors ones day. But the really important thing to note here is that I immediately recognized that paper on the cover of sketchbook no. 24. It’s the paper you bought in Venice, right? That exact paper is on my list of reasons I NEED to go to Venice. Seriously. 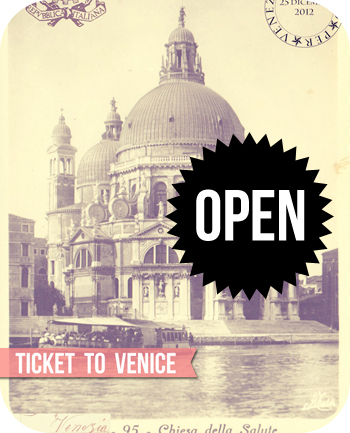 Even if I have to scour every inch of Venice to find it. I hope that’s the case. I also binge-watched The Fall…sigh. In that last photo, it looks as though your cat is up to his own engrossing set of experiments. Oooh, that phthalo turquoise! I’m swooning here! They don’t sell Daniel Smith here, I wonder if other brands carry that luscious colour, cause I want it! i can only tell you the difference between a sketchbook & visual journal from my perspective as everyone might have their own definitions. first though, a sketchbook is a visual journal in that it contains sketches that form a narrative. a visual journal is the same, but to me a visual or art journal is a much broader term. 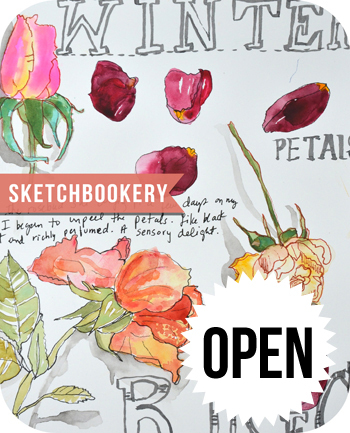 i think of a sketchbook as more of an illustrated journal. the key difference are the illustrations/sketches/drawings. i like my sketchbooks to contain MOSTLY things i have drawn & painted, but what i think of as my visual journals contain non-representational doodling with paint/pattern making/mark making/collage/ paper that may or may not contain images that represent something specific from my life. sometimes however i do have drawings/sketches in my visual journal but MOSTLY they are a free-for-all/anything goes/mixed media playground. i happen to have a brain that likes categories so i prefer to keep the 2 separate. when i look through my sketchbook i like for it to look like an illustrated journal of my life and/or a history of my experiments with drawing & painting. i’m much more focused on the quality of my lines and the behavior of my paint in my sketchbooks. I’ve only really gotten into watercolours this year but I’m really enjoying myself… can’t wait until payday to buy some better quality ones for some more experimentation, currently using up a kids set! I must get some yummy blues and a good yellow and red when I get some new paint. Any suggestiosns on the red and yellow, MAM? Thanks for sharing your new watercolors with us. It’s always good to see what some of those intriguing colors really look like on paper! Enjoy your Sunday and pat the kitties for me. ENJOY your extra-creative day to the weekend…..working on birds, applique-ing wool felt for a challenging quilt….a la Sue Spargo,her design…..
Just started watching Season One of The Fall last night–looks very interesting!! I always love seeing your color experiments. Hi Mary Ann…LOVE your blog and everything you make. Today’s plans involve both travel AND books: A little day trip to Ann Arbor, MI home of University of Michigan, coffee shops galore, and at least 6 bookstores all within walking distance. I can barely contain myself! I re watched season one and am only just one episode into season two, fabulous show!!!! I am finishing up “Luther” on Netflix and “The Fall” is next on my to-watch list. Glad to see it will be worth my time. I didn’t know season two had been released. I know what I’ll be doing later! Daniel Smith is my all time favorite brand..My collection includes the neutral, but I haven’t played with it much. Love your pages! And thanks for the heads up on The Fall! Darn. I just bought some sodaheavy:( Looks like S%$#@@t. Shoulda read your post first. My granulations looks like elephant hide with parasites included. Listening to my very large cat snore. Do your cats snore? Have you ever tried the breathe right stickums? I tried to put one on my dog. Looked quite hilarious but didn’t help the snoring. Inspired by your travels, when a friend asked today if I wanted to go to Portland for a book signing by Joyce Carol Oates, I said yes, and bing bang bam, booked! Although, I googled the hotel we are staying at and bed bugs came up. Anybody out there ever stay at the Mark Spencer in Portland?